The Go-to Guy for All Your Gaming Equipment, Accessories and More! If you’re anything like me, you want to have the best gaming experience when you play. People love convenience. My goal, as far as gaming is concerned, is for people to find all their games and gaming needs to be in one place. This site is geared towards providing top-quality gaming equipment and supplies. My hope is for everyone who visits this site to be satisfied with what they find on this site. As this site grows, I will try my best to provide different types and variations of billiards and other forms of gaming that you can enjoy and have fun with the family and friends. I take pride in peoples’ satisfactions. I hope you find this site useful and informative, and if you have any thoughts, comments, or questions please add them to the comments section below or in any of my pages or posts as I appreciate what you have to say. I’ll try to answer your questions to the best of my ability. I look forward to reading your posts as you grow your site. I used to play a lot when I was younger; self taught. I am wanting to get back into playing again, but have found it’s not like a bike. It doesn’t just come back to you. Yes, it does take some time and body/mind conditioning to be fond of playing pool, but it can be done with the right structure. I, myself, am trying to be good at the game as I just play it from time to time. It took me a while to find a niche to promote. So, I just thought to myself, “why not billiards?” I hope to, one day, inspire people like yourself to get back into playing the game again. Hi Armand, Nice looking site, and cool niche! Lots of gaming enthusiasts will be very happy to see a one stop shop for games and accessories. Hi Hindy. Thank you for looking at my site and providing feedback. 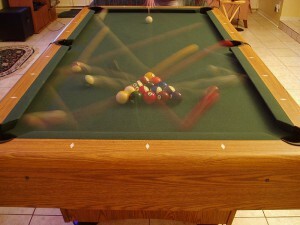 One of these days, I’ll have all enthusiasts to come and shop for games and accessories here at thebilliardsguy.com. However, I know it’s a long shot, but one can wish, right? I used to play pool at school and got a little good at it. I never was as good as the Irish play – Alex Hurricane Higgins! But I never really got into the billiards only when someone invited me to play. At school at the time alot of the space invadar arcade machines where on the scene so I spent a tonne of money on these at lunchtimes! Pool was the main hustler however and it always brings back good memories. You have great website keep up the good work! Hi Alexander. There’s a professional player named Alex Hurricane Higgins? Hmm…I think I have to look into that as I am trying to be a professional player myself. I only play pool on occasion. Yet, it’s still just a hobby of mine that I like to play. I would like to thank you for visiting my site and providing feedback. Looks like a really promising subject. I am interested in the air hockey tables. When are you planning to add those? Hi Ido. Thanks for providing a comment to my site. To answer your question on air hockey tables, once I get and add billiards tables, then most likely I’ll focus on air hockey afterwards. nice there is a lot of gaming products that just don’t last, or are lacking when it comes to quality. this is great to inform people before they make a purchase love it!! Hi Casey. Thanks for looking at my site and providing feedback. I will try to provide the top-of-the-line quality supplies and accessories when it comes to billiards. Also, I will add top-of-the-line items when it comes to other games such as air-hockey and foosball. I try my best to make everyone satisfied to what they find on my website. Very nice website. There is a need for a place where people can find equipment for these type of games. I believe you’re found a very good niche.Good job. Hi Ronn. Yes, I will try to provide a “site-for-all” that caters to everyone’s gaming needs here on thebilliardsguy.com. Hey Armand, I’m guessing you are a pro pool player huh? 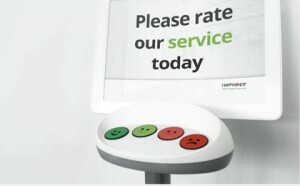 This is a great idea having a one stop experience for your gaming. Hi there, Elliedan. To answer your question about being a pro pool player, my answer is, “no it would be quite an understatement that I am a professional pool player, let alone a pool ‘hustler’.” Though, I am still practicing my trick shot where I try to make the ball skip and jump over one ball and hit the other one to make it go in one of the other pockets. But, no. I’m not good at that either. So, I have a lot of practicing/mastering to accomplish. Thanks for looking at my site as I will try to provide some feedback on yours as well. Hello Jonathan! Thank you for taking the time to comment on here. I will do my best to give you as much information as I can about billiards and gaming. Thanks for viewing, Connie. I’ll take a look at Isud’s Method To Go Viral.